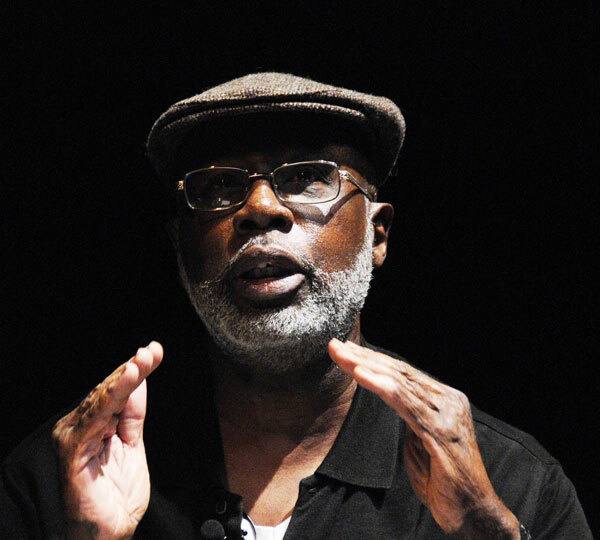 From Carl Dix: One Killer Cop Convicted—Get with the Revolution and Get Rid of This Whole System that Needs Killer Cops! 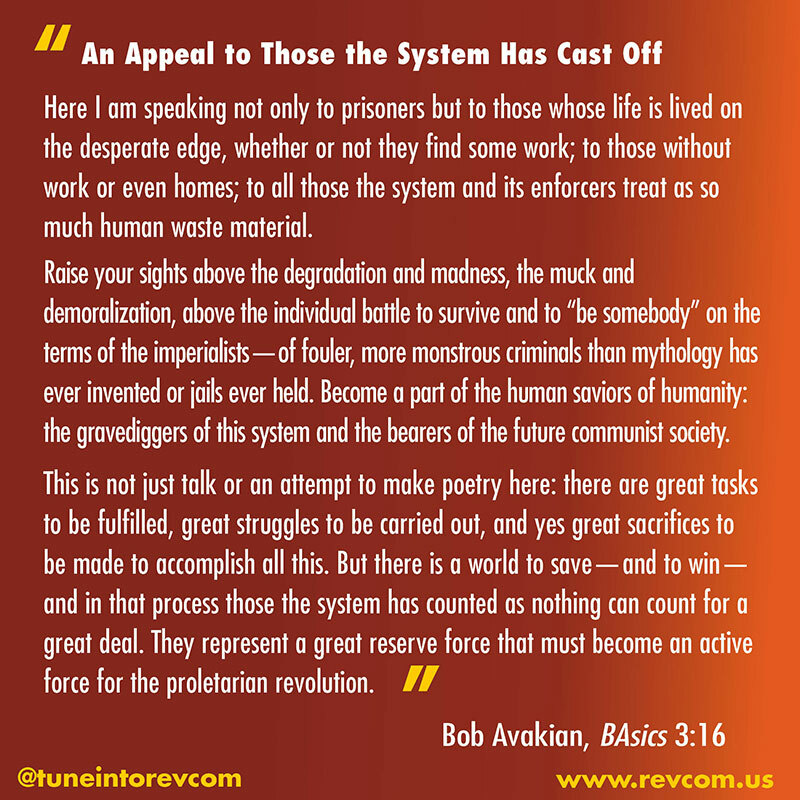 From a Prisoner: "A Huge Revolutionary Salute to the Revolution Club of Chicago..."
In less than two weeks, the new speech from Bob Avakian will premiere online: Why We Need An Actual Revolution And How We Can Really Make Revolution. 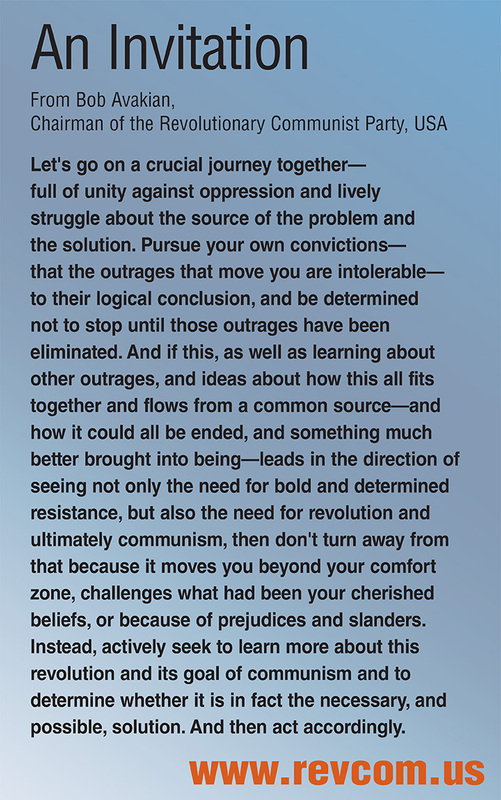 This speech lays out why nothing short of an actual revolution will deal with the immense and unnecessary suffering humanity faces... and lays out the basis and strategy for an actual revolution. 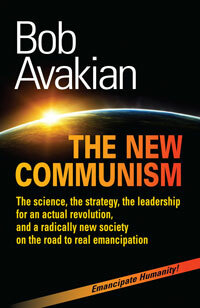 In it, Avakian speaks very concretely to how that revolution could be made, and how to go to work for this now. On October 19, word of this speech—and the actual engagement with it—needs to reach tens of thousands. One important way: joining the voices of the hundreds who have seen this or want to see it in a national effort to amplify our voices through social media. On October 19—the day the speech is released online—we are aiming for 500+ people to post on their social media platforms what they think of this speech and why many other people need to see it. To organize this, we are signing people up on THIS Facebook event page. If people aren’t on Facebook, sign them up on e-lists, text blasts, and more. We’ll update progress and centralize messages on revcom.us. Report regularly to revolution.reports@yahoo.com. Five hundred people posting about this—all on the same day—can make thousands aware of this speech with a compelling case made by people, with their own voices and from their own perspectives, as to why—if they are agonizing about the state of the world and the need for real change—this is what they need to see. 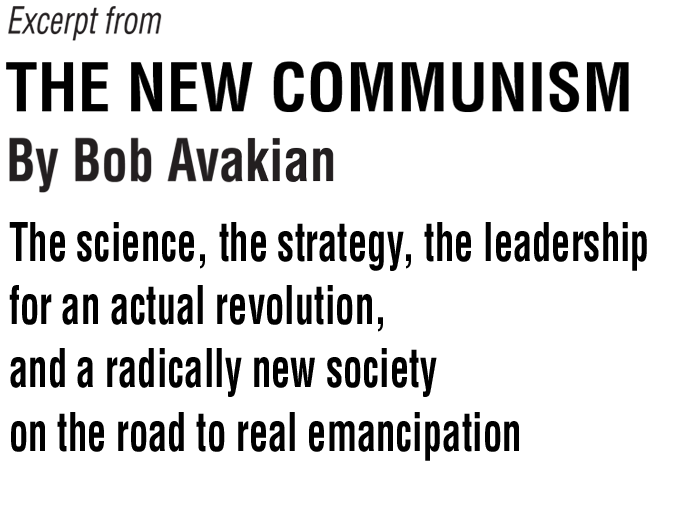 In this speech, Avakian digs into a question that is UNSPOKEN otherwise, it is basically absent in people’s thinking and in the terrain: not how to accept what is and make changes within the margins, not how to put band-aids on people’s suffering, but how to actually overthrow this system... how to really bring into being a radically different, and far better, world. This is not something the mainstream media wants you to hear... it’s not something the defenders of the old order want you to hear... it’s not something those who have a vested interest in reform want you to hear. This is evident in the fact that GoFundMe has currently banned a fundraising campaign to raise promotional funds for this film! This is something we have to fight and, at the same time, reach even further with the word of this speech. Putting this before all those who hate the way the world is, who want serious answers as to how it can change is going to require a mass movement from below... spreading this person to person... hand to hand. It’s going to happen through word of mouth, creating a real buzz on the ground and multiplying that through social media. If you’re in a Revolution Club, or have a group of like-minded friends, think of ways to involve people... maybe have a mass meeting to discuss why this film needs to be seen and come up with plans for broad outreach. Plan an outing to create a big scene about the online premiere of this speech... combine the strengths you have in terms of people, energy, materials, the trailer for the speech, and involve others as you go. Have an impact and project that out onto social media—take video and pictures. You can do light projections, banner hangs, play the trailer on a big wall with loud sound, get a lot of promotional materials in people’s hands and sign a lot of people up on the spot. Ask someone to join in whose main focus will be social media—signing people up, taking pictures and video, and interviewing people who watch the trailer. What you do on social media can amplify what you do on the ground, and all of it working together can contribute toward getting organized and have a lot more impact. Let everyone know—on social media and in the street—that funds are needed to spread this way beyond our reach. Contributing and helping to raise funds is something everyone can do. Through phone banking, messaging people, bake sales, smaller salons... and much more. 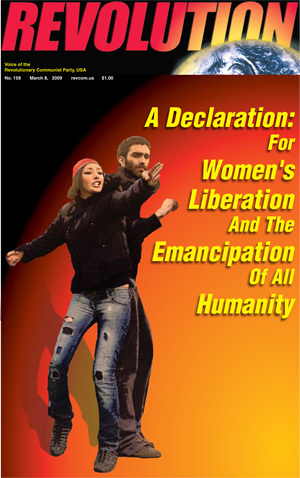 Contribute online to raise $5,000 and more for social media promotion in the run up to October 19 or write a check to The Bob Avakian Institute at 1016 W. Jackson Blvd., Chicago, Illinois 60607 or, if you want to make a tax-deductible donation, send a check to the Revolution Books Education Fund, 437 Malcolm X Blvd, New York, New York 10037. Finally, in addition to what’s here, we really need to hear from you... your thoughts, ideas, and suggestions. How is this speech going to reach the necessary audience? Please write with your thinking to revolution.reports@yahoo.com. Over the next two weeks, word of this speech has to bubble up from the underground... involving all kinds of people... beginning an essential debate over reform vs. revolution... making it known in a big way that the possibility for revolution is REAL... that there is a plan and strategy and a future that is worth fighting for. We've just learned that GoFundMe.com cancelled the campaign to raise funds to promote the speech by Bob Avakian, Why We Need An Actual Revolution And How We Can Really Make Revolution. This will premiere online on October 19 and needs to be seen by many thousands who hate the way people are forced to live under this system. Over $2,300 of the $5,000 goal had been raised which has now all been refunded to the donors. GoFundMe has yet to give a reason for this, but we are waiting for its response. This is unacceptable! 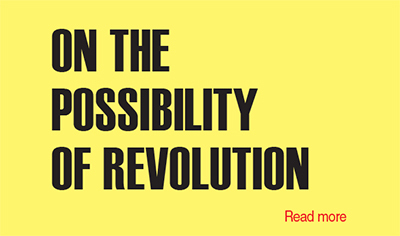 What's at stake here is whether or not people will be able to get a basic understanding of the truth that this system can't be reformed... the need and possibility for a radically different world, and how to fight for that world through an actual revolution... or even be able to debate this! 1. 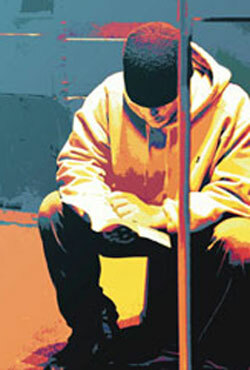 CONTRIBUTE funds to spread the word of the online release of this speech. This is all the more reason you are needed... to get word of this speech everywhere, up from the grassroots. Spread the message that the defenders of the old order don't want you to hear. Spread this trailer and ask others to donate. For now, contribute HERE. 3. Double down! We're now 10 days away from when our promotional campaign was going to start and just 14 days away from the online premiere. We had an initial goal of $5,000... let's double it! This message of real revolution is going up against the whole status quo... all the naysayers who tell you to accept the horrors of this system and confine ourselves to the margins. Say NO to this! Contribute generously, spread this message, organize a fundraiser or bake sale. If you already contributed, and your money was refunded, contribute again HERE and give more than your initial contribution. Don't let this message be suppressed! On Friday, October 5, the jury announced they found Chicago cop Jason Van Dyke guilty of murdering Laquan McDonald, a 17-year-old Black youth. Van Dyke was convicted of second degree murder and 16 counts of aggravated battery with a firearm—for each of the 16 bullets that he fired into Laquan. As the dashcam video showed, Laquan was walking away from Van Dyke and the other cops, arms at his sides, when the killer cop fired his first shot. After Laquan was spun around by the force of the gunfire and crumpled to the ground, Van Dyke continued firing shot after shot, stopping only when his gun ran out of bullets. This was the video that was covered up by the police, the whole city political machinery, and the mayor himself until it was forced into the public eye and sparked a huge outrage. This was one of the very rare instances of a cop getting convicted of murder—the first time in Chicago in almost 50 years. After decades of police all across the country getting away with killing hundreds upon hundreds of Black people and other oppressed people, here was a little bit of justice, won through the masses of people rising up in places like Ferguson, Baltimore, and Chicago itself and shaking up society very broadly. People all over Chicago were waiting tensely for the verdict on Friday. There were massive police mobilizations in different parts of the city, ready to react to protests. When the verdict was announced, cheers went up from the protesters gathered outside the courthouse. One activist, filled with emotion, said, “It just felt like all those years of work from the time the video came out was worth it. Like all the organizing and being out in the streets, it was worth it. It was worth it—for once.” There were shouts of “Van Dyke: guilty. CPD: guilty of conspiracy”—referring to the fact that it was not just Van Dyke but all the other cops on the scene and in fact the whole police department that was complicit in lying about the murder of Laquan. The Revolution Club was an important part of the protests during the trial demanding that Van Dyke be convicted and sent to jail. And as they celebrated the verdict with other protesters in the streets, they brought out how in order to bring an end to the horror of police murder and other crimes of this system, we need an actual revolution to overthrow this system. Clip from BA Speaks: REVOLUTION—NOTHING LESS. Jason Van Dyke, the Chicago cop who murdered Laquan McDonald, has been convicted—of second degree murder and 16 counts of aggravated battery. 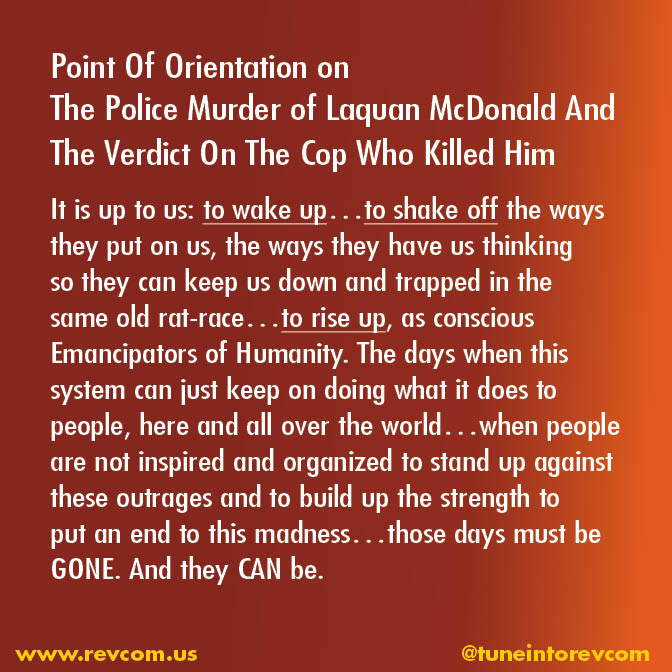 After decades of police and racists getting away with murder—from Emmett Till to Fred Hampton and up to Trayvon Martin, Michael Brown, Freddie Gray, Darius Pinex, Justus Howell, Rekia Boyd, Aquoness “Quono” Cathery, and Harith Augustus—we finally got a little bit of justice. We forced a conviction of a cop for murdering a Black person. People are right to celebrate this, and the pigs have no right to suppress them or take vengeance against them when they do. It should’ve been first degree murder. The evidence showed this. The video shows Van Dyke opening fire on Laquan as he walked away from the police with his hands at his side. 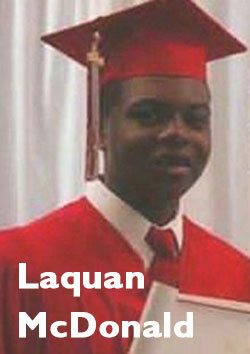 Van Dyke pumped 16 shots into Laquan’s body, most of them as he lay on the ground bleeding. Right now, it seems that these convictions are enough to send this murdering pig to jail. But we need to be vigilant that they don’t find some loophole to let him walk. We can’t go to sleep on this. During the trial some activists and leaders said, “Yes, we should protest but we don’t want another Ferguson.” Let’s be clear: this murdering cop never would’ve been on trial in the first place if it weren’t for what people did in Ferguson and Baltimore and the other places where people straightened their backs. This spread all across the country, including Chicago taking to the streets to demand police terror STOP! And as part of this, there were all the exposures, the marches and rallies in Chicago in response to the release of the video of the murder of Laquan and the massive coverup that ran right to the entire city administration. This struggle has impacted the way people more broadly look at these police murders of Black and Brown people. So much so that in this case, even though there was only one Black juror and the state put on a lackluster prosecution, the jurors still looked at the video of Laquan being murdered and saw it for what it was—MURDER. 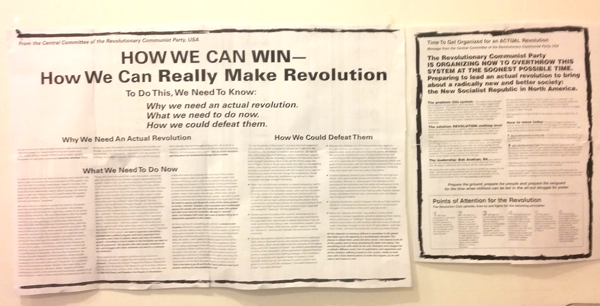 HOW WE CAN WIN, How We Can Really Make Revolution, the guide to making revolution, says: “We need to oppose and disrupt the moves of the ruling powers to isolate, ‘encircle,’ brutalize, mass incarcerate and murderously repress the people who have the hardest life under this system and who most need this revolution. We need to ‘encircle’ them—by bringing forth wave upon wave of people rising up in determined opposition to this system.” This was a step toward that. We don’t want to just keep fighting these same battles year after year. What they do to people here and all over the world is a horror ... and it is unnecessary. 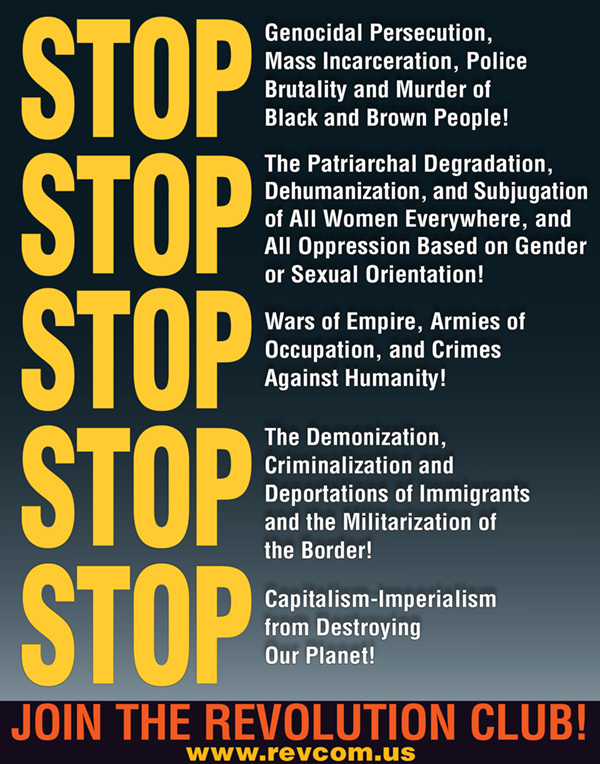 It is caused by their system of capitalism-imperialism—and we must and we can overthrow that system. We have the science that lets us know how to fight. 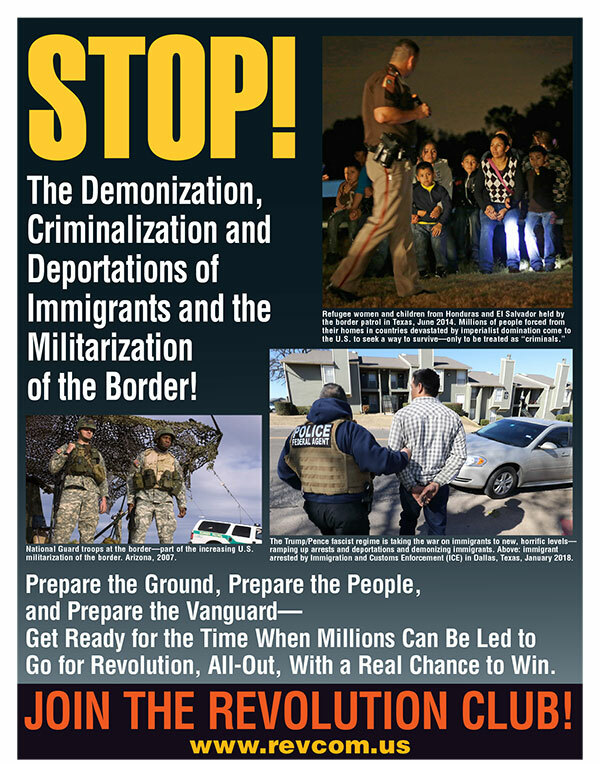 We have the strategy for fighting and winning in HOW WE CAN WIN that you can read at www.revcom.us. 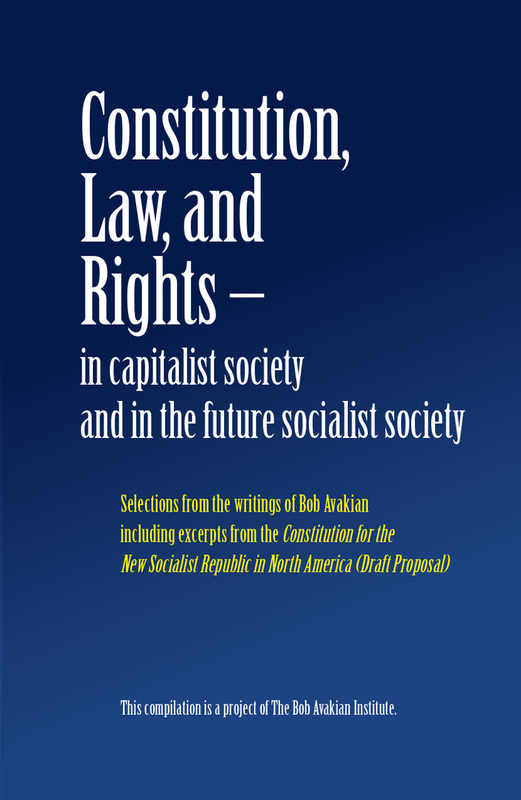 We have the plan for a new society, where all exploitation and oppression can be abolished and humanity can be emancipated, in the Constitution for the New Socialist Republic in North America. 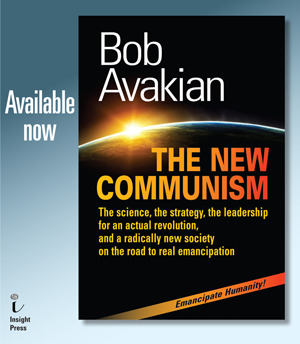 And we have the leadership, in Bob Avakian, architect of the new communism, whose film Why We Need An Actual Revolution And How We Can Really Make Revolution goes online at revcom.us on October 19. I call on everyone in Chicago and all over the country who wants to see a better day, who yearns for freedom—get with the revolution and join the Revolution Club (for information, go to Revcom.us). "A Huge Revolutionary Salute to the Revolution Club of Chicago..."
Go to RefuseFascism.org to sign your name to this Call and to get involved. We are horrified and angered at the shocking damage already done to lives here and around the world by the Trump/Pence regime. We recognize that they are poised to do far worse, including threatening WAR, even nuclear war. Through an unrelenting barrage of daily outrages and Twitter outbursts, the Trump/Pence regime is radically remaking society—step by step hammering into place a vicious American fascism. This is not insult or exaggeration, it is what they are doing. All too many people think and act as if what we face is just the worst of pendulum swings between Republicans and Democrats. NO! This regime, if left in power, will effect a thoroughly reactionary restructuring of society. If we think that the normal processes of the 2018 or 2020 elections, or the Mueller investigation will, by themselves, redress the situation that humanity faces, we are not understanding the determination of these fascists in power to shatter norms—even though they have been doing so for over a year. If we are not as outraged and motivated to act today as we were right after the election, we are on our way to accepting a great horror that builds daily. If we adjust to the injustice of this regime, do not ask how the German people could have accepted Nazism in the 1930s. We must not reassure ourselves that it couldn’t happen here. It is. Trump’s “Make America Great Again” is a 21st century fascist program of Manifest Destiny—”America First”—wrapped in the flag and Mike Pence’s Bible taken literally, with a program of white supremacy, misogyny, and xenophobia. 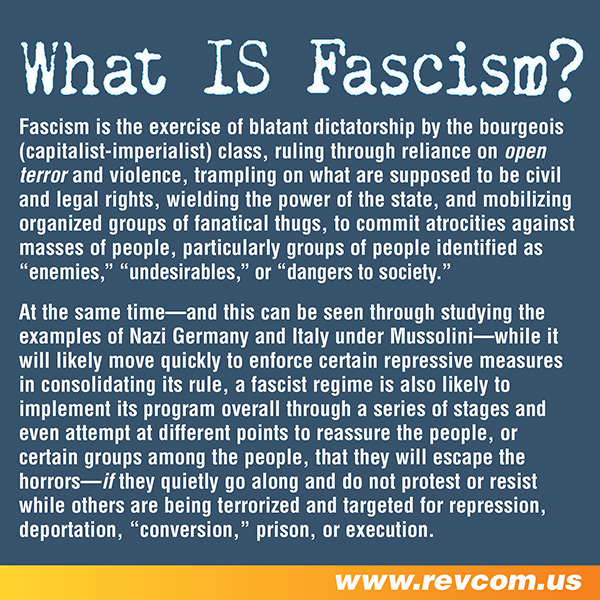 Fascism rules by organized repression and terror by the government: civil liberties are stripped away, law re-written, dissent criminalized, the courts packed with fascists, and the separation of powers and of church and state ultimately eviscerated. As part of radically remaking society, the Trump/Pence regime must sharply attack those in positions of power who oppose them. Fascism also mobilizes mobs of vicious thugs as we’ve seen with Nazis marching and murdering in Charlottesville, Virginia. The Trump/Pence Regime has not yet been able to implement their full program. But they are advancing. It might only take a single serious crisis—international or domestic—for this regime to drop the hammer. The Democratic Party leadership will NOT lead us out of this. They are about maintaining order for their whole set up. For them, order is more important than justice, even if that means the order of fascism. After Trump’s election, President Obama said of Trump, “We are all on the same team... We are now all rooting for his success.” NO! If Trump succeeds, it will be catastrophic! But there IS another way. A different kind of protest. We need to organize now for the time when we can launch massive, sustained nonviolent protests in the streets of cities and towns across the country—protests that continue day after day and don’t stop, creating the kind of political situation in which the demand that the Trump/Pence regime be removed from power is met. Imagine tens of thousands beginning in several cities and towns, with marches, candlelight vigils, rallies—students, religious communities, immigrants, everyone with a heart for humanity in the streets and not backing down—growing from thousands to hundreds of thousands and eventually millions. Our actions will reflect the values of respect for all of humanity and the world we want—in stark contrast to the hate and bigotry of the Trump/Pence fascist regime. The whole world will take heart. This would be hard, but possible. Possible because millions of us feel the horror of Trump and Pence. Many have righteously protested different outrages, but now we must rise to another level of determined resistance. 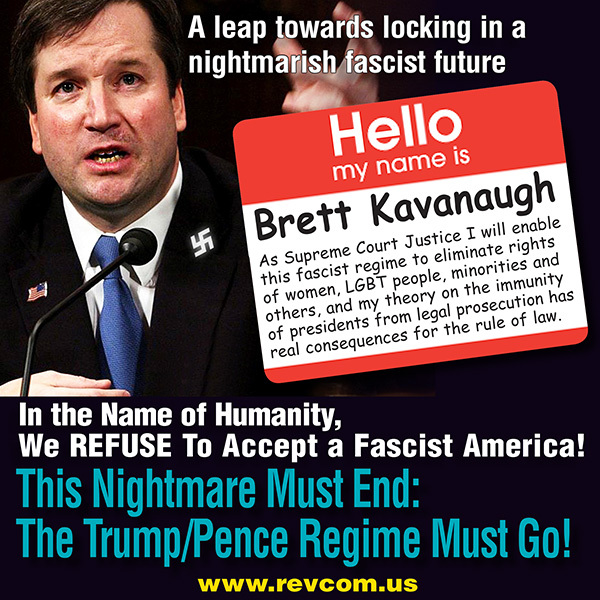 This piece by Sarah Roark, a former volunteer for the Hillary campaign and current volunteer with RefuseFascism.org, gives voice to one of many perspectives on why relying on the Democrats to stop Kavanaugh or the midterms to stop Trump is so dangerous. The article was written before the Senate confirmed Kavanaugh to the Supreme Court, but the core themes remain very timely, and with so much at stake, we urge you to read, share and deeply consider her arguments. Our “institutions” haven’t stopped this regime from pouring thousands of refugee children into concentration camps. Democratic leadership couldn’t block Gorsuch and can’t block Kavanaugh. We must at long last accept the simple truth: only the people can save the people now. This is not a dream. If it were a dream, we’d have woken up by now to find it all mercifully gone. This is not a movie. If it were a movie, we could rest assured that everything will turn out fine in the final reel — no matter how screwed Our Hero looked to be in the second act. And as much as some in our media might like to think otherwise, this is not a reality show. It’s reality. This was brought home once again to an already-reeling American people over the course of the last two weeks. We’ve all become a little punch-drunk since the Trump/Pence regime came to power, but for many, the blow of the impending Kavanaugh confirmation crashed through even that haze. Particularly on September 27th, when it looked as though Brett Kavanaugh—a nominee chosen specifically for his hostility to civil rights and his signaled willingness to accommodate this fascist regime’s lust for ever more executive power—might sail through his Senate hearings without even a pretense of investigating the serious criminal allegations against him. But let’s be honest in here: the only difference this week is that now there’s a pretense. And it’s unlikely to last long. That even if this confirmation is somehow defeated, the same sword will stay hanging over our heads. If it’s not Brett Kavanaugh, it’ll be someone else from the Heritage Foundation’s fascist-friendly list. And a 5-4 court where Roberts is the moderate can and will reverse the most hard-won human-rights victories of the last fifty years. And the November election is unlikely to change that. Not just because the GOP is clearly hellbent on installing some lackey of the religious/Trumpist right-wing before that, but also because Democrats are battling a highly unfavorable map in the Senate. And that’s if the election is free and fair in the first place, a point on which there’s sadly substantial doubt. The certainty whose well-founded dread currently has us by the throat is the simple, terrifying fact that none of this can get better while this regime remains in power. If anything, it’s entirely on track to get worse. Forget making it to 2020—how many more things and people will Trump have destroyed in the next month, using only his executive powers? And yet here we stand, playing for time—in this case a week, in another case a few months—knowing that we can’t keep taking blocks out of a tower forever before it finally becomes one block too many for the whole thing to hold up any longer and…CRASH! But playing for time only makes sense when you’re expecting a rescue. Think about it. Who do you think is coming to save us? Which movie hero are you waiting for to give you permission to step outside your boundaries and follow their shining leadership to where you already know you need to be? Is it Beto O’Rourke? Bernie Sanders? Elizabeth Warren? Alexandria Ocasio-Cortez? Robert Mueller? They’re not coming, folks. They are unwilling to give us that permission, and they will remain so. It’s not that they don’t want what they think is best for us, or don’t work very hard at it; I personally believe they do. But we must understand that they are fully committed to fighting this battle either from within the system or not at all. Because of course they are. Because that’s what we sent them to do. In other words, the very nature of their work—their government work—constrains them to working inside the very same traditional democratic structures that this regime is steadily dismantling right out from under all our feet as we speak. Including theirs! 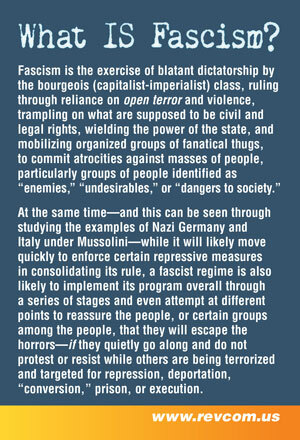 This is a well-known mechanism of historical fascism. It doesn’t emerge from other authoritarianisms. Fascism is always an ailment of failing democracies, because the way it comes to power is by using a country’s own democratic processes against it, until it’s thoroughly rotted out the superstructure and can replace it with the more blatantly tyrannical system it craves. This is why Chuck Schumer has no power to stop this Trump nominee—or any Trump nominee. And even if a mighty Blue Wave crashes over the Congress in a few weeks, the Democrats mathematically cannot win a majority big enough to pass legislation over a Trump veto, to say nothing of impeachments. So. Even with a “best-case” scenario of Democratic wins, where do you truly expect us to be on the morning of November 7th? Other than more or less where we are now, only with less time on the clock? No, there’s no savior coming. No one who can give you official permission to stand up with millions of others and demand an end to this nightmare NOW. Again, our officials are constrained to doing this through the normal processes—and we know that the normal processes have become too weak to stop the widening destruction. We know this both by logic, and by the churning pit of our stomachs. 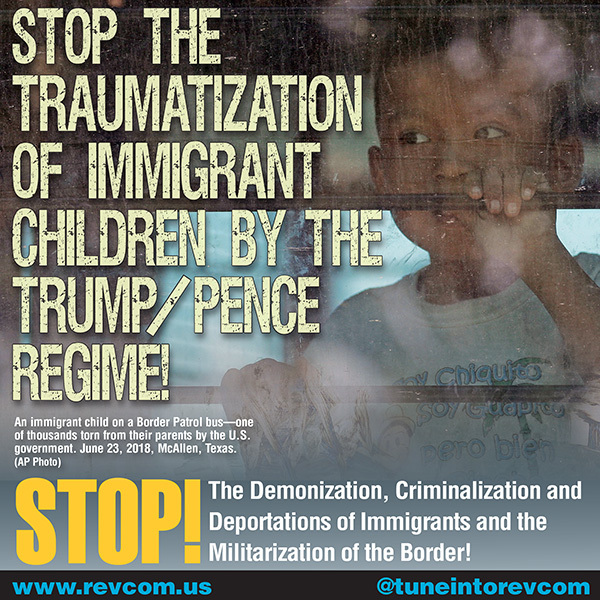 Only a true mass movement of the people, nonviolent and noncompliant, has any hope of removing this regime before thousands more children end up scarred and terrified in concentration camps. Before Jim Crow is fully re-implemented. Before an angry prep-school man-child—a proven misogynist and most likely a sexual assaulter of women as well—sets down his beer just long enough to destroy women’s control over their own bodies. And what doesn’t make sense about that? Has any great victory for human rights or rule of law been won without the pressure of a mass movement from below? That’s what it took in the 60’s. That’s what it took in the Velvet Revolution and the Arab Spring. And that’s what it took in South Korea in 2016. We shouldn’t expect this to require any less. No one will give us permission to do this. But we can grant it to ourselves. There’s no wise expert or brave hero who will guide us all safely through this (most of the experts are just as lost as we are right now, I’m afraid), but we can put our heads together, bringing the wisdom and creativity from all our different backgrounds and perspectives. And we—in numbers that command assent—each one looking out for the others—are our own best defenders against the horror of a resurgent fascism. 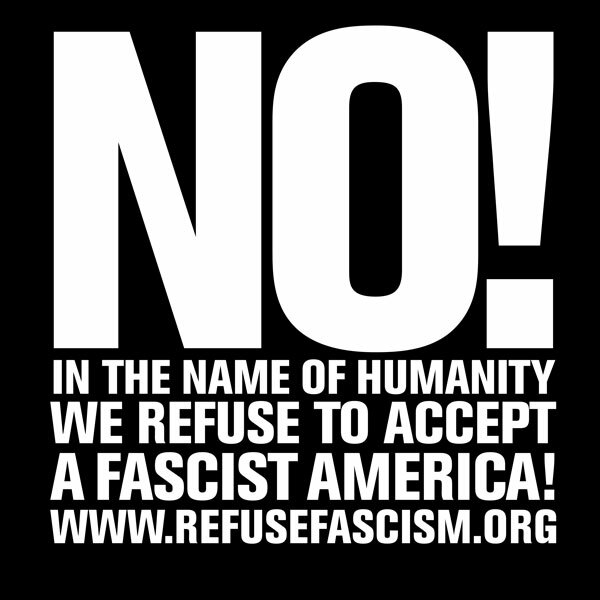 We can do it, and Refuse Fascism has the analysis, the understanding and the plan to do it. Want to learn more? 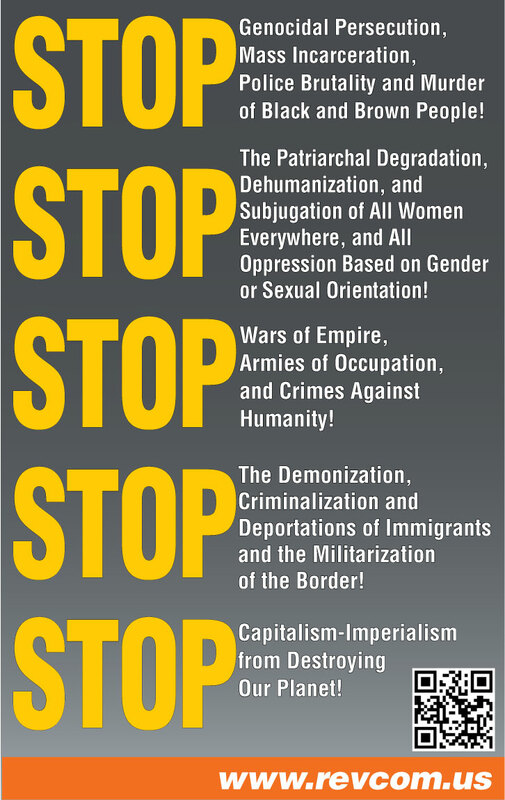 See the Call to Action from RefuseFascism.org. On September 22, the Department of Homeland Security (DHS) announced a new front in the Trump/Pence regime’s war on immigrants. DHS is about to implement a new regulation that threatens to deny green cards—permanent legal residency—to hundreds of thousands of immigrants here lawfully, or eligible to come here. If this new rule is not stopped, any immigrant who has received, is receiving, or is likely to need any public benefits they are entitled to—such as food assistance, Medicaid, or low-cost housing—can be denied a green card and face possible deportation, or can be prevented from immigrating to this country. The rationale is that they are, or could be, a “public charge” and therefore not eligible for a green card. Previously, “public charge” referred only to those, such as pregnant women or unemployed parents, who are relying on government cash payments for more than half of their income. Not only is this going to inject new fear among hundreds of thousands of low-income immigrants who have done nothing to be denied permanent residency and citizenship. It’s also going to bring great harm to millions of children. Imagine you’re an immigrant parent living lawfully in this country. You want to apply for a green card so you and your two children, both born here and thus U.S. citizens, can stay together in this country. The job you’re working at, six days a week, barely pays enough to cover all your expenses, so you’ve been getting SNAP (Supplemental Nutritional Assistance Program, formerly food stamps), to be sure you can provide nutritious meals for your children. Then the government implements their new rule. Think of the choice you face. Are you going to continue receiving the SNAP benefits for your children’s health, knowing this is enough for the government to deny your green card application and place you in deportation proceedings? Or do you withdraw your children from programs like SNAP in hopes that your green card application will not be denied—at the expense of your children’s health? This deliberately cruel proposal is intended to deny basic supports like food, health care, and housing to immigrants and their families here lawfully and eligible for these programs who work, pay taxes, and go to school, but who are not paid enough to make ends meet. In fact, when the rumors of this new regulation were first in the air, families across the country began dropping out of these programs. 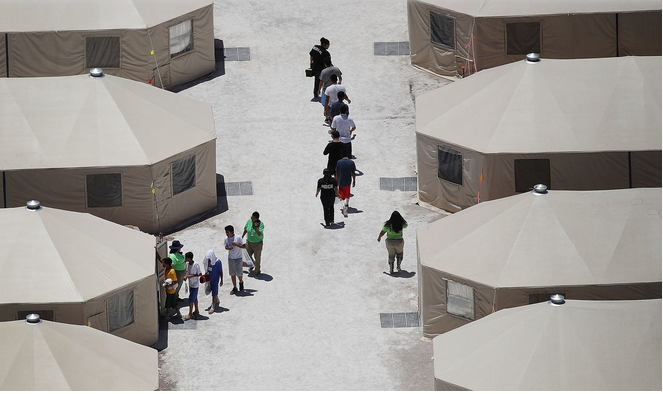 A report by the Kaiser Family Foundation found that nearly 20 million children in immigrant families could be affected by these policy changes, even though nine in 10 of those children are U.S. citizens. 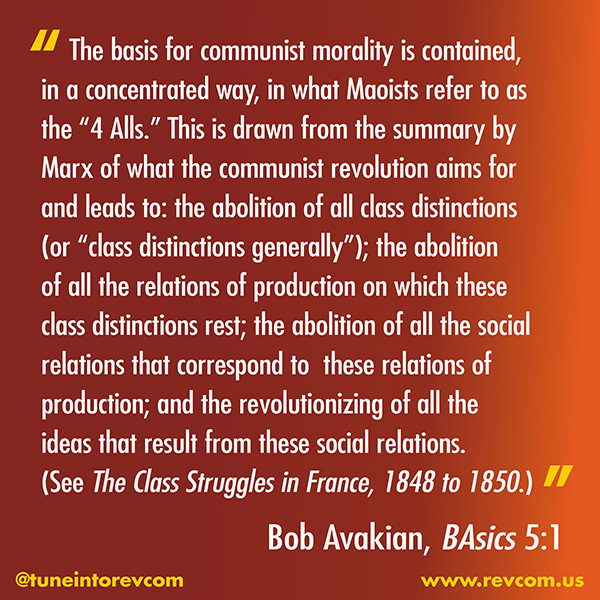 From the film of a talk by Bob Avakian, BA Speaks: REVOLUTION-NOTHING LESS! 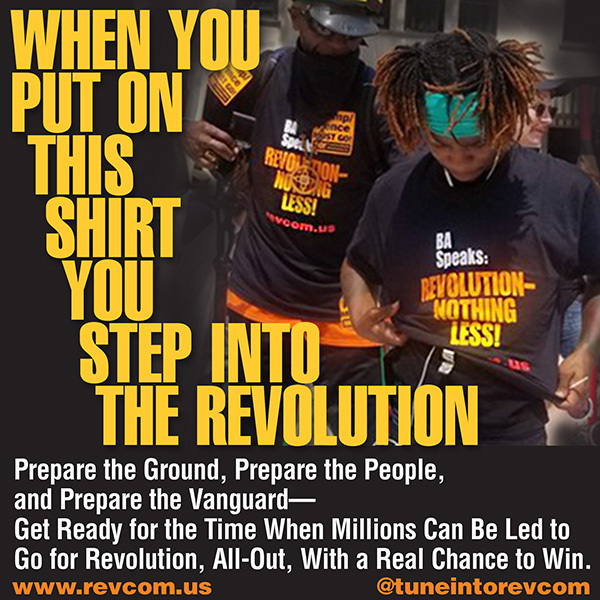 Prepare the Ground, Prepare the People, and Prepare the Vanguard—Get Ready for the Time When Millions Can Be Led to Go for Revolution, All‑Out, With a Real Chance to Win.